Click on the logo to access fantastic online resources for your family! 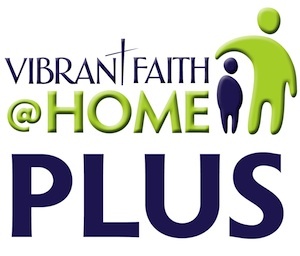 Vibrant Faith @ Home supports families who are intentional about their faith and religious practice as they raise the next generation of committed Christians. It seeks to equip and empower households to: TALK with each other about their faith, PRAY together in ways that are comfortable and comforting, RITUALIZE their important moments, REACH OUT in service and support of others. More than 60 faith activities are published each season — spring, summer, fall, and winter.